If you’ve ever watched television with the subtitles on you may have seen the words come up different from what the person on the program actually said. Whatever TV you have I’m pretty sure you’ve encountered wrong subtitles in one way or another. Anyway, if you really haven’t seen any of them you might want to take a look at some of the stuff here. Here are some funny times when the words have came out slightly wrong! Instead of “other kids”, it came up as “orchids”. 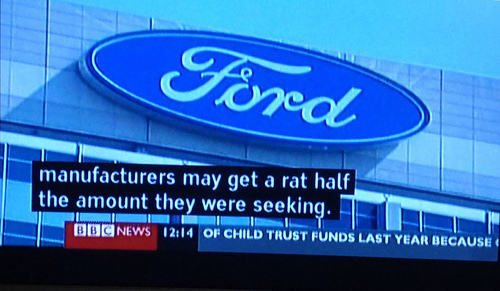 The reporter said “about”, the screen said “rat”. 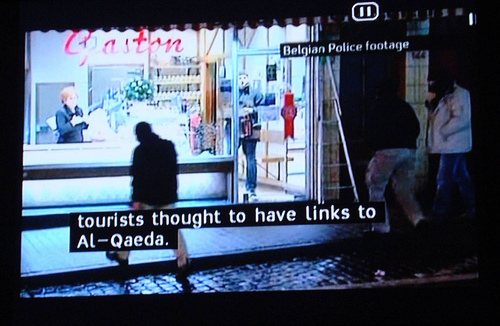 The “terrorists” have become “tourists”! 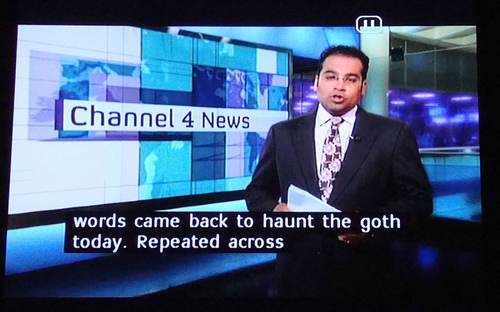 If you have managed to capture more photos like these of dodgy subtitles send them into us! Thanks for stopping by you humble being. Naughtiest Of All Tongue Twisters Ever! I for one can’t stand subtitles, mostly because my eyes are so bad.However reading some of them here. Has me laughing who knew they could be entertaining. This reminds me of the auto-correct function on mobile devices, and the similar function in my word processing program. I was writing a piece about gravestones, and I mentioned heart-shaped tombstones. The auto-correct feature changed the word “heart-shaped” to “rattrap” (and really, who does NOT want a rattrap-shaped tombstone, hmmm??). Fortunately, I am usually fairly fanatical about proofreading, so I caught it before it was published! My favorite from above is the first one. Those nasty orchids – they can be such bullies. Watch out for them! That’s the first thing that came to my mind! Auto-correct, gotta love and hate ’em. Once I was trying to type “lucky you” and it came out as “tycoon gel”. I didn’t even realise it until I sent it out so I just looked like an idiot. Favourite one would have to be the second picture, ‘goth’. Good stuff! The tourists picture was the most eye catching for me. That was my first thought too. Wow, it must have been cold outside for all of them to be wearing masks. I wonder how many others thought the same thing? I think all tourists should wear bright clothing, LOL this way they cannot be mistaken as terrorists.